It does what? Vessyl – Knows what is in your drink? It is getting really difficult, even as an future tech specialist, to separate science fact and science fiction sometimes. Some of the devices that have appeared the past few years seemed unlikely only a decade ago. Not impossible, I try to avoid thinking anything is, but unlikely to be in everyones hands at a reasonable price. Today I saw an link to this Vessyl. It has a name that has its clever internet spelling as we have seen since Flickr and alike. Vessyl is a container to drink out of. It is selling as a pre-order of just $99. Thats a lot for a stylish designed mug for your coffee. However, it is claiming, and this is where I feel a little skeptical, that you can pour any drink into it. It will detect everything about that drink from the amount of caffeine, to the calories, the type of drink and even some brand names? The idea being it will track your hydration, talk to your smartphone and generally be a good admin assistant to your personal wellbeing. If this is actually true, then it is brilliant. $99 for general purpose deep sensing and network capability, plus something to hold your coffee? If it is not true then it is also brilliant. The production values of the video, the cool chic nature of the product visualisations and the website, and the product name are great. I feel I want to order one to just support such a clever fabrication of a product and company, if that what it is. Like supporting a clever artist. I fell I want to order one because it might work and hence be fascinating to explore. I don’t see what they are focussing on selling us drinks containers when that have apparently got sensors that could probably with the “tricorder” x-prize though. I look forward to watching the reveal either way. A few years back (April 2011 !) amongst the many other things I got to bring to kids TV I did a piece on virtual worlds and in particular Opensim. None of the shows clips are on the web any more, which is a pity as they are still useful resources in explaining things. I found a rare lost archive of my Opensim piece with Sy Thomas . So I thought I would pop it onto youtube (I hope I am not in breach of any copyright!) as a flavour of the sort of thing we put on 39 shows on Saturday morning kids tv on ITV. Opensim is still very much alive and well and available, virtual worlds like Minecraft do very similar things. I would have done a follow up on Minecraft anyway. Equally now we have the rise of the Virtual Reality headset and immersive 3d environments are having their 3rd or 4th renaissance. Of course in this I point out that 3d creative environments are also distribution platforms for 3d printing and manufacturing. The next few months is going to see an interest second wave of technology that I am very interested in. The first is the Windows version of Kinect 2.0. This is the consumer packaged full body sensor that uses the same base as with the Xbox One. The original Kinect from the Xbox 360 was just a USB device so had the maker and hacker community exploring how it use it on regular machines before the official Windows development version arrived. When the Xbox One launched it’s Kinect 2.0 cmd with a completely different plug, making it impractical to explore. The Xbox One was slated to be a development machine for all (consoles at the moment have specific machine models for developers and a different one for consumers). This development kit has not been forthcoming (it may or may not turn up later). All this means I could not continue the work I wanted to do with the kinect for Choi Kwang Do. The new Kinect sensor stye body better and in particular shoulders, and also weight transfer. So I have had to pre-order a Kinect 2.0 for Windows. It is due in September. I am hoping it will all work with Unity3d again! Talking of Unity3d, it’s 4.6 patch is rapidly approaching. This upgrade will feature the much needed GUI changes. I love Unity3d development but anything with buttons or sliders and GUI layouts is so incredibly awkward it is hard to see how we get anything working. The new GUI system is going to treat GUI objects just like any other object. They will appear on the scene during development. At the moment GUI objects only show up when you run, making getting things lined up and working a bit of a black art. This also sets us up for Unity3d 5.0 a major new release. Lets just hope all my code still works ! 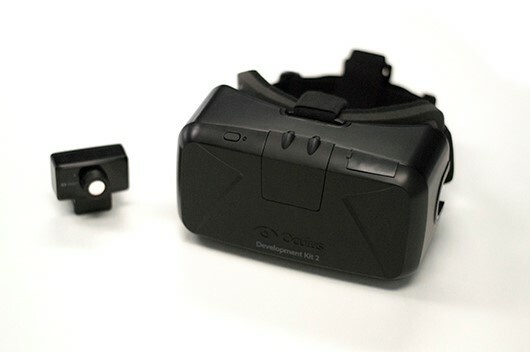 The third big piece of kit is the Oculus Rift DK2 (Development Kit 2). Now owned by Facebook but still approaching construction in the same way the original Kickstarter did. This is really exciting as the first Oculus Rift was and is still a liberating experience. With DK2 the resolution of the screens is much higher now a 960×1080 per eye. It also comes with an additional relative position sensor. One that can, like Kinect, see where the headset is in the space in front of it. It is fully supported by a Unity3d library too (as with the previous version) It is not the only VR headset heading to the market but it is the one you can get your hands and eyes on. …. particularly when you you can make a sword with the pen! This week I had a small broadband outage when the cables got cut during some engineering work down the road. I took the opportunity to escape the current project and popped to Maplin to stock up on some bits and pieces. Whilst there I saw they had the 3dDoodler pen in stock. I had very nearly Kickstarter backed this one but missed the deadline. So I thought it was high time to get get one and try. It is the same principle as a 3d printer, but instead of stepper motors it is controlled by hand. The pen has a very hot tip, through that is pushed a thing plastic rod that melts . As the plastic melts it is soft and can be piped around and then hardens very quickly. My first attempts with it we note great. However I checked out the gallery and saw that many of the builds were in fact done by making the various component faces then using the doodler to stuck them together. Rather than make a giant structure I thought I would try the company logo. Feeding Edge as a logo has existing in many forms form its early draft on a in game skateboard tshirt to virtual world instantiations and decals on cars. So a 3d doodle of the logo was worth try. It works really well to print out a stencil and draw around it, which is what I did, the paper does not burn, it cools the plastic and the model does not stick. I know it’s July and this looks like a christmas tree ornament but it was fun to do. I also tried a Dodecahedron but I think I lost the a piece, however it is a 3d structure. So I would say it does what it says. It lets you doodle in space. The 2 speed settings of ejecting the plastic and the freedom of movement give this a very craft maker feel. Working out how and where to solder joins of elements or how to break something down into flatter faces is an interesting thought process. The predlets asked if I could do the Choi Kwang Do logo. That may take a bit of work but may give it a go. Though I thing it then needs to be sealed in a casing afterwards. In a twist of serendipity I was invited to the twitter UK offices by @andypiper when I was in London yesterday. Amongst their cool installations there was this neon sign.